Bored with the form of chandeliers available today? May be, it is time for you look at a variety of contemporary lighting designs in the world, such as the gorgeous contemporary chandelier Canadian designer, Tat Chao. Tat Chao gives a different touch to the term “recycling”. 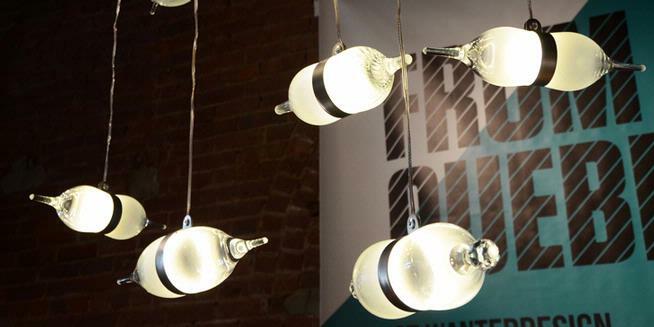 Instead of creating a design that seemed “used”, he is combining beauty and freshness of the light called “Bipolar Lamps” made ​​from unused wine glasses . 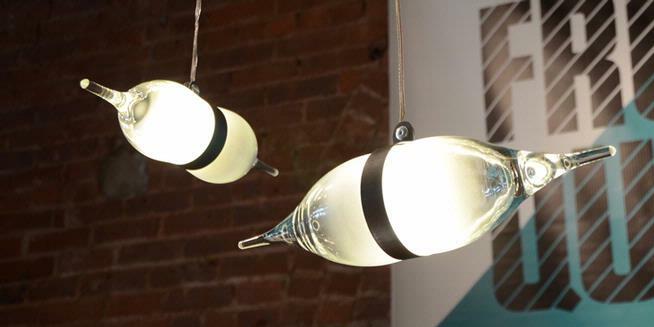 Merging two wine glasses makes these lamps have a full form indentations so impressed “curvaceous”. In addition to beautiful, environmentally friendly, it is also efficient bulbs in terms of energy use. Chao is using LEDs as the light source. As known earlier, the use of LEDs consume energy in smaller amounts than regular bulbs. The lights in the Bipolar collection inspired candle holder made ​​by the designer for his Vitro series. Chao collect a variety of glass products through donations and thrift stores for a project he was working in Montreal, Canada. According to Chao, the minimalist lights carry the message “regenerates something rejected, obsolete, and corrupt”.